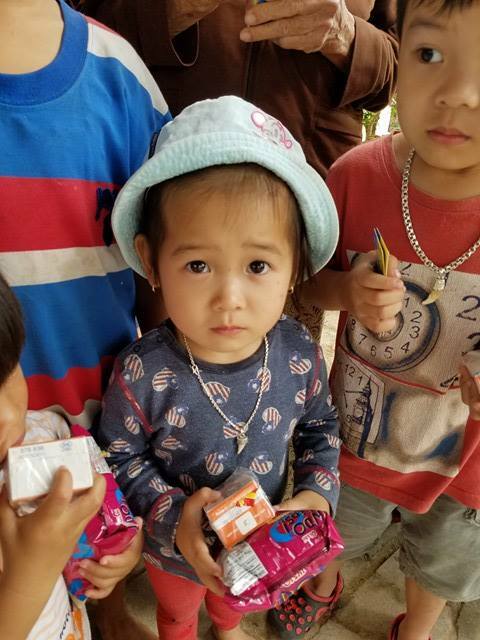 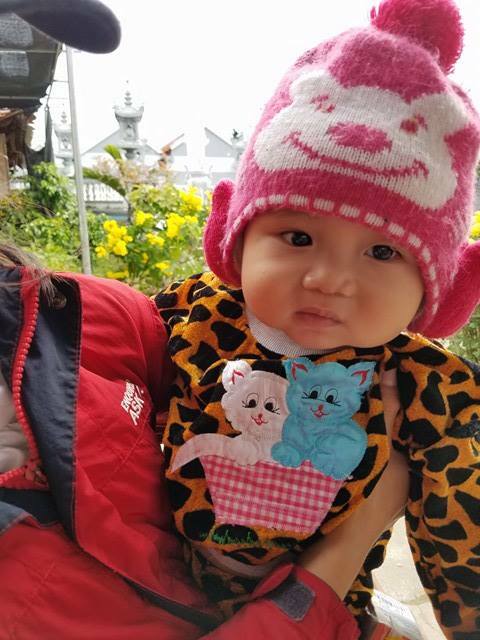 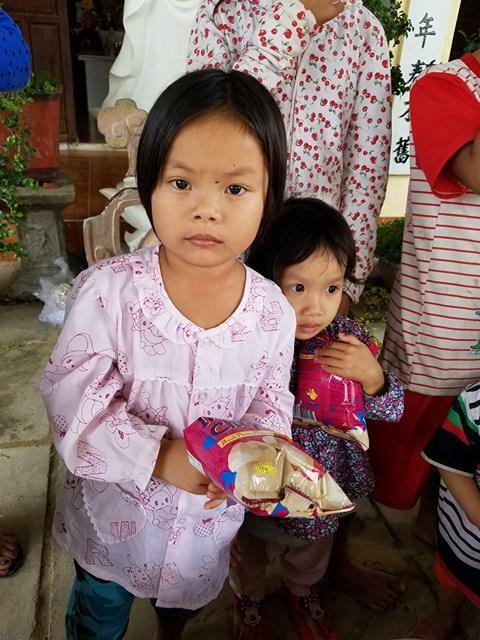 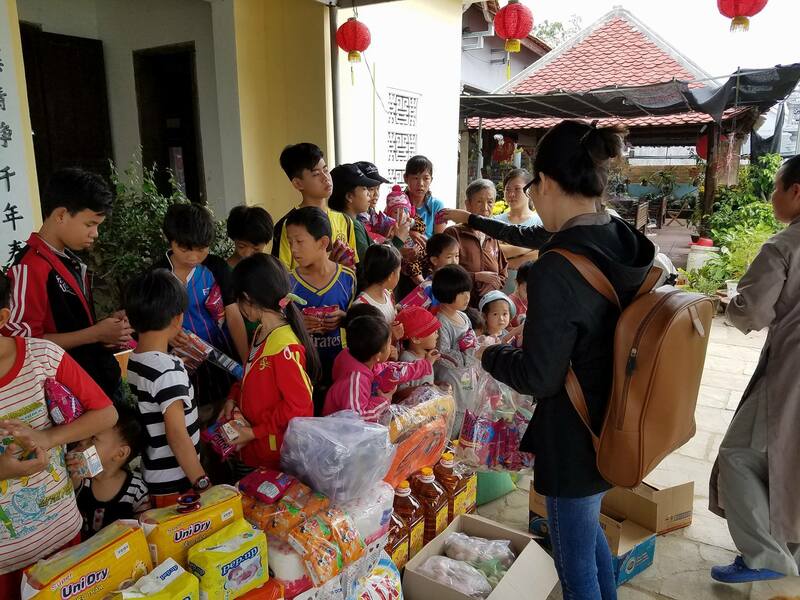 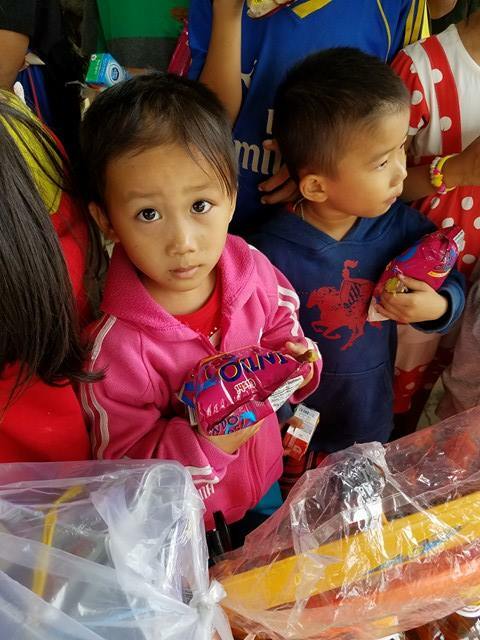 On February 19, 2017 we visited the Lac Thien Orphanage with many essential supplies. 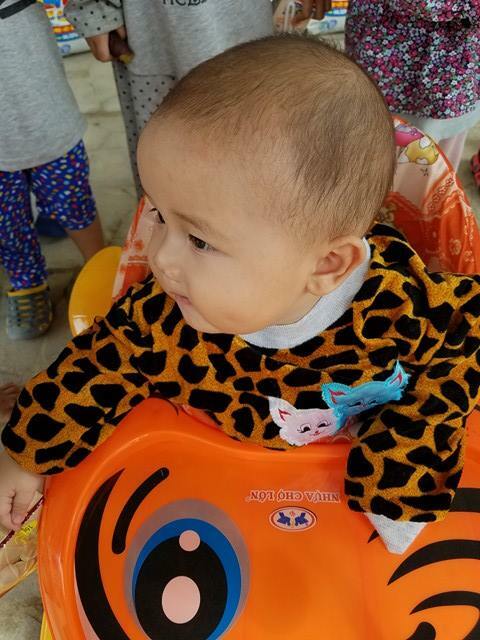 Lac Thien is located to the north of Nha Trang in Ninh Hoa district, near Doc Lec Beach. 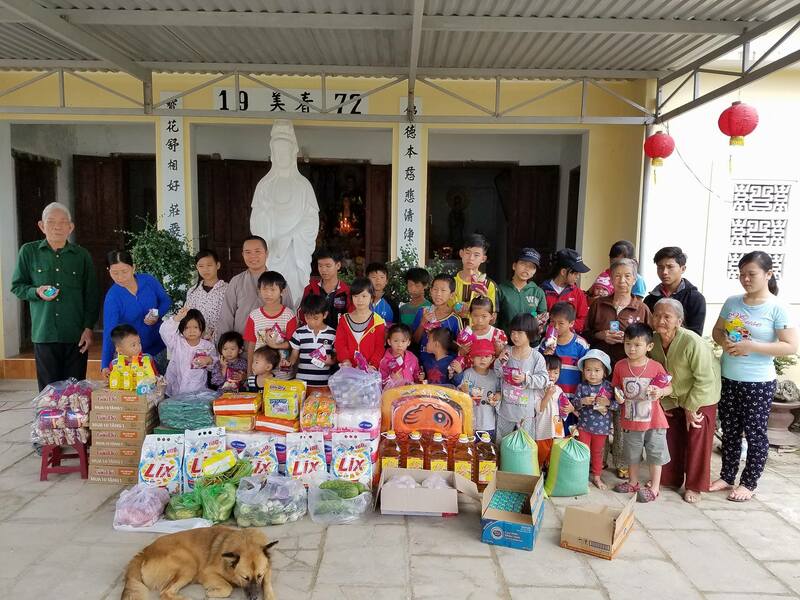 It is a peaceful home to about 30 orphans, run by the nuns of the Phat Buu pagoda. 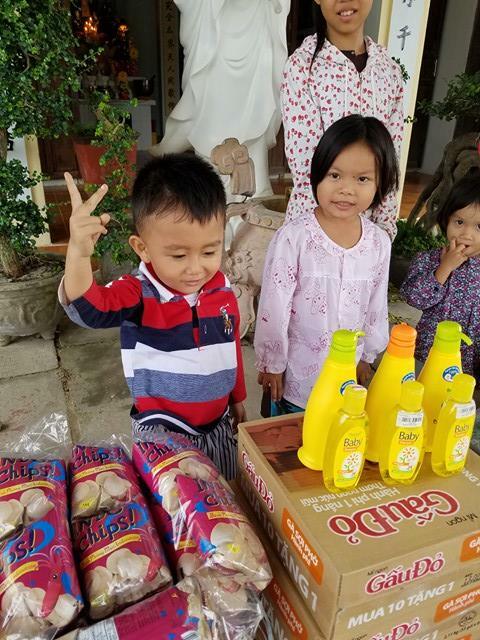 We contacted the nuns about their most pressing needs, and our coordinators set in motion a visit. 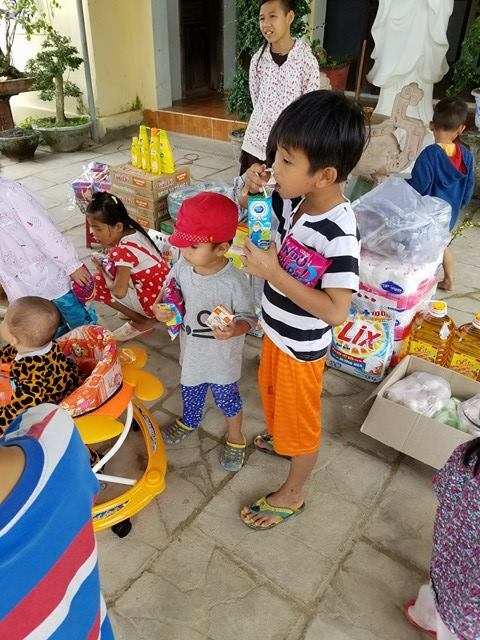 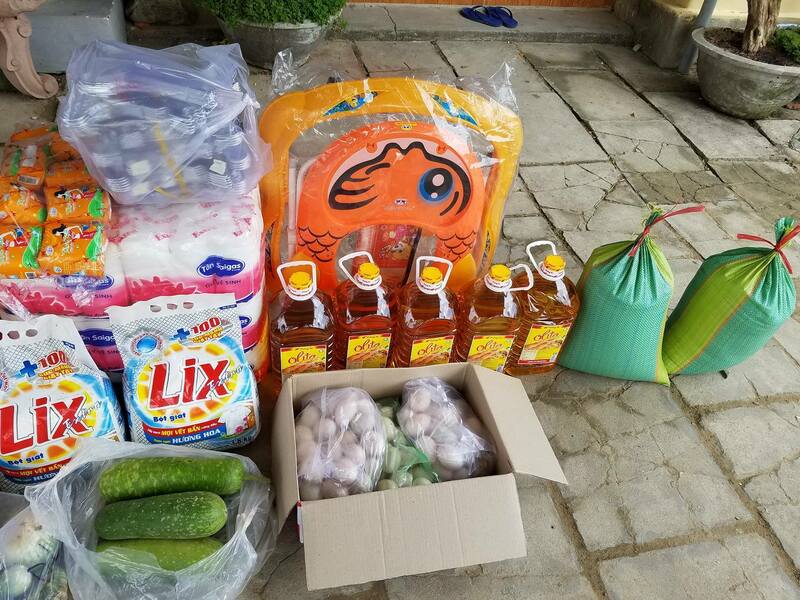 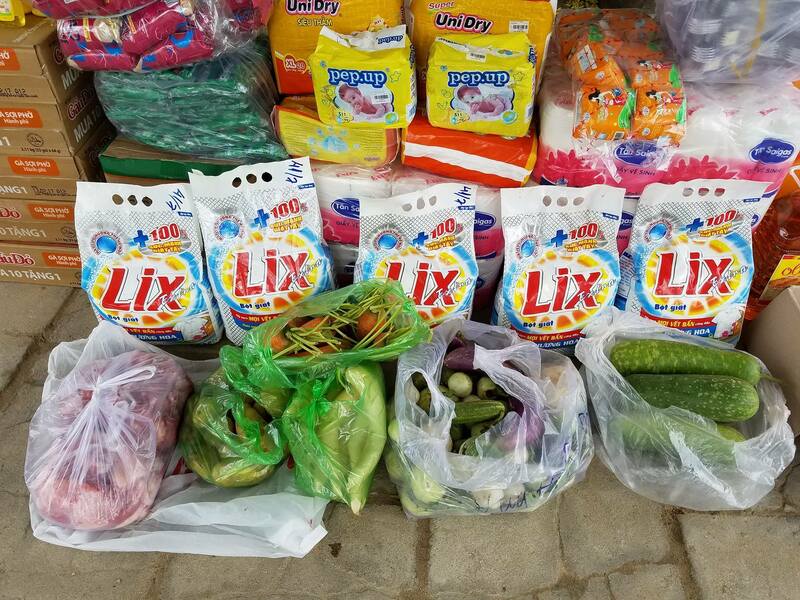 Upon arrival, we unloaded bags of rice, boxes of noodles, cooking oil, boxes of milk, assorted vegetables, diapers, toiletries, laundry detergent, soaps, snacks for the children, and a new baby walker for one of the new babies that was left at the orphanage. 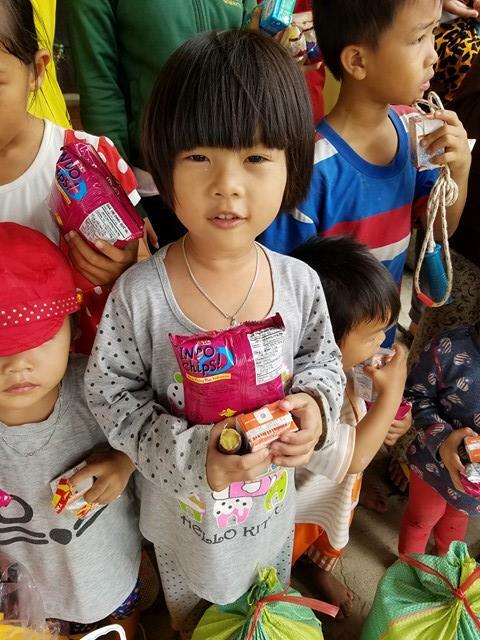 The children were lovely, as always, and dove into their snacks. 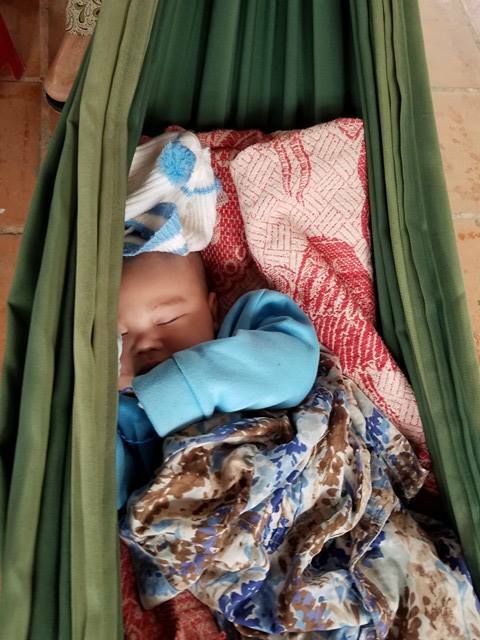 We put together the walker, and the baby got to wheel around the courtyard. 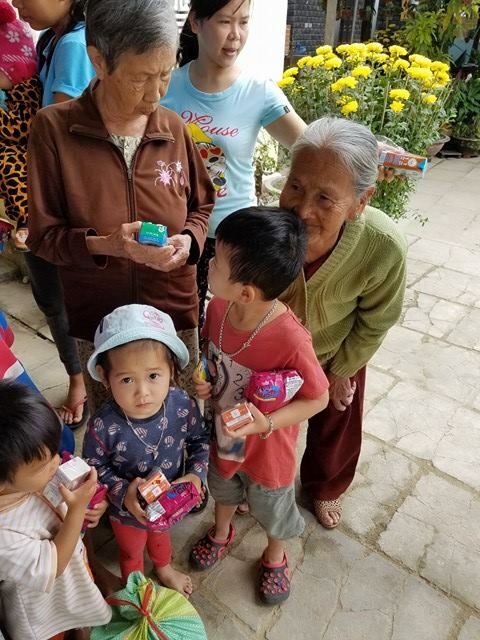 This wonderful visit was made possible through the kindness of a family in the USA.